HEALS represents a comprehensive applied methodology focusing on the different aspects of individual assessment of exposure to conventional and emerging environmental stressors and on the prediction of the associated health outcomes. For the first time, HEALS will try to reverse the paradigm of “nature versus nurture” and adopt one defined by complex and dynamic interactions between DNA sequence, epigenetic DNA modifications, gene expression and environmental factors that all combine to influence disease phenotypes. 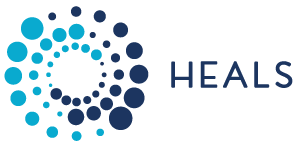 HEALS will start from analysis of data collected in on-going epidemiological EU studies involving mother/infant pairs, children, or adults including the elderly to evidence relevant environmental exposure/health outcome associations. These associations will aid in designing pilot surveys using an integrated approach, where the selection of biomarkers of exposure, effects and individual susceptibility results in integrated risk assessment. In the context of this new paradigm, a relevant contribution for a better understanding of the diseases comes also from twin studies.